With help from faculty and students at Brigham Young University, engineering expertise was applied to create an innovative and viable solution: playground equipment that generates electricity from children’s play! The concept was field tested and improved in Ghana. Kweku Anno, of Anno Engineering in Accra, converted the design to utilize local materials. After a rigorous process of school selection involving EPI social scientists and the Ghanaian Ministry of Education, Anno Engineering manufactured the systems and installed them in the selected schools. 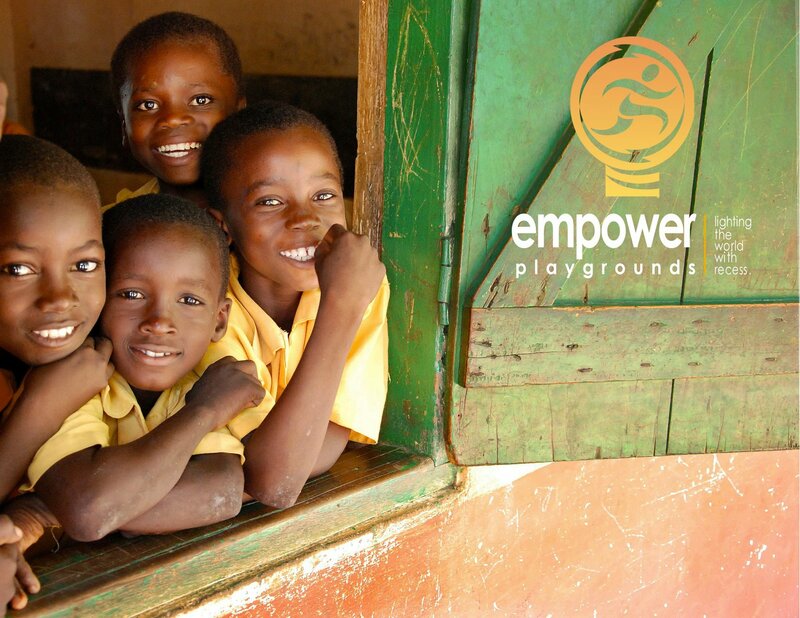 These schools not only benefit from EPI’s electricity-generating play equipment, but also from a custom science education module, which helps to enhance the direct learning of rural student by using the play equipment as a living lab. Thus was born Empower Playgrounds, Inc. Initially, EPI hand modified LED camping lanterns so that they could be recharged by the EPI system. In 2009, Energizer Battery, Inc. became a sponsor for EPI, donating development of a smart LED lantern specifically designed for the EPI service. The smart lantern has a computer chip inside that manages both the charging of the custom battery pack and the operation of the special LED lights. Lighting equivalent to a 25 watt light bulb for over 40 hours is provided by each recharge. Lantern life is expected to be at least 5 years. EPI currently partners with Thames & Kosmos, a science education company, to send science kits to Ghana that fit within the Ghana’s current science curriculum. Children in Ghana normally only read about the experiments in their textbooks because schools lack the resources to provide hands-on learning experiences. EPI has stepped in to create these experiences and help children in Ghana develop a love for science and learning.